Dominic D., a Christian Recovery leader at New Hope Ministries of Cornerstone Fellowship--Livermore Campus in California, is our guest today. He is a long-recovered member of the Alcoholics Anonymous Fellowship and is involved with two Christian recovery groups at Cornerstone. The first is Turning Point, overseen by Greg Pope. Th e second is the Good Book/Big Book Recovery Workshop. And my son Ken and I have given public presentations three times at Cornerstone Fellowship hosted by the Turning Point Group. 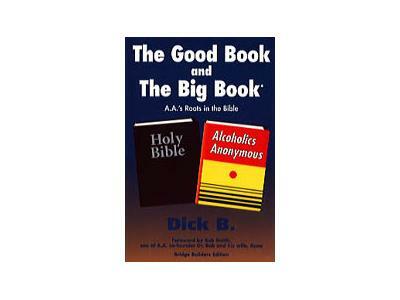 Dominic is a hands-on Christian 12th stepper who helps alcoholics and addicts, and does so in the backdrop of the Alcoholics Anonymous Big Book, the 12 Steps, the Bible, and the old-school biblical origins of the original Akron A.A. "Christian fellowship." New Hope Ministries, under the direction of Diane Linse, utilizes classes, events, resources, and groups to fulfill its mission of helping others to recognize and realize God's plan for individuals. It has a 12-Step Workshop for Women which addresses addiction and compulsion as both a physical and spiritual illness. It does so with the help of Scripture, utilizing a biblical base in the 12-Step recovery process. There is a Co-Dependency Support Group, Counter Point for parents, the Good Book/Big Book Recovery Workshop, Transformed for men struggling with sexual addiction, Turning Point which emphasizes growth in recovery, plus other Care Groups. Dominic attended the very first International Christian Recovery Coalition event in Irvine, California, in May 2009; arranged to have Ken and me flown to Livermore to address Cornerstone people, has emphasized our A.A. history and biblical origins books, and helped us broaden the Coalition outreach. And he will tell us about it all.